Gordon joined the Latics team in 2009 and has helped many happy customers achieve their goal of passing their driving test. You will find him totally committed to helping you achieve your goals with lots of support along the way. Three words to describe me: Friendly, patient, honest. Party trick: Scooby doo impression! Favourite Joke: Why did the tomato turn red? It saw the salad dressing! Favourite quote: If you think you can or you think you can’t, you are right. 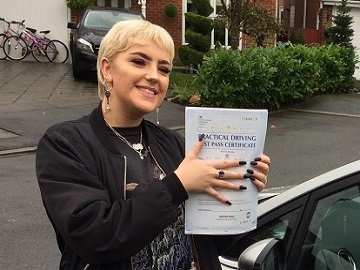 Gordon gives driving lessons in Middleton, Alkrington, Blackley, Chadderton, Failsworth, Harpurhey, Heywood, Hollins, Hollinwood, Oldham, Limeside, Moston, Newton Heath, Rochdale, Royton and Shaw. “I passed my driving test on the 26th April 2017. Being of an anxious disposition learning to drive was difficult for me, but Gordon was very accommodating and showed empathy to my particular situation. During lessons, Gordon would share his driving knowledge and wisdom to help me better understand certain aspects of driving. Gordon’s patient and friendly approach enhanced my confidence, and this helped me develop a mentality to deal with any frustration in a positive and constructive manner. Any self-doubt that would creep in, Gordon would provide a calm and rational voice – urging me not to give up. Additionally, Gordon was also accessible outside of driving lessons. I could communicate any issue or question, either by e-mail or phone, and expect to receive an informative and well thought out response to my queries. 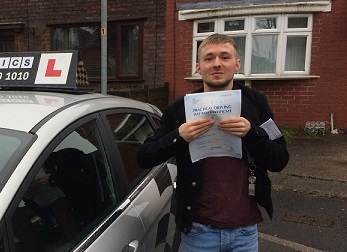 Gordon’s professionalism, understanding and positive support helped me pass my driving test. And more importantly equipped me with the tools to become a safe and competent driver. In my opinion – Gordon is a great driving instructor, but an even greater human being. Gordon is a very good instructor. I couldn’t have passed without Gordon! The lessons that I got from Latics were brilliant! I just wanted to thank Gordon Jennings on being an awesome driving instructor! I would like to say a massive thanks to Gordon Jennings. Gordon Jennings was an awesome instructor for me! 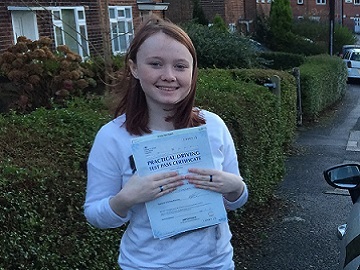 Fantastic first time pass Kirsty! 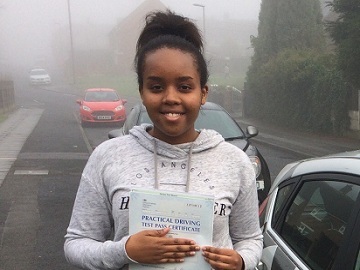 Fantastic 1st time pass Olivia! Fantastic 1st time pass Leanne! Brilliant 1st time pass Joe! Great 1st time pass 2 faults! 1st time pass 2 faults! Great 1st time pass 1 faults!